Editor says: The winner couldn't be anyone other than Jackie Evancho for 2010. She has introduced the term 'classical crossover' to the mainstream audience in America - the biggest music market in the world. Evancho was profiled on our website in August of 2009 when she was an independent artist. She reached out to other independent classical crossover artists, such as Grace Bawden and Annelies, and was open about her inspirations, including Sarah Brightman and Hayley Westenra. When she found herself in a whirlwind of attention, Evancho stayed true to the genre, and true to the other artists, and has given those artists and the genre a whole new legion of fans. At the core of this is the reason why she had the power to do this: her incredible vocal talent. Her CD O Holy Night was released only weeks ago and yet she has already achieved platinum status. Evancho is working on a new album which is expected to be released in early 2011. - To be nominated for the Editor's Choice award, the artist needs to have done pioneering work or brought about great awareness for the genre in 2010. The nominee needs to have been active this year, either through a release or promise of an album in 2010 (takes priority) or performing. The winner is determined by the editor of Classical-Crossover.co.uk and not by voting. 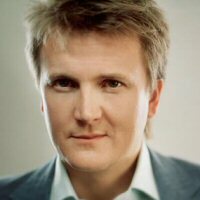 Aled Jones became a household name when he was only a small choirboy singing a cover version of ’Walking in the Air’ in 1985. Jones left the recording scene when his voice broke, but emerged again in 1999 as a baritone. Other than performing and recording, he frequently champions other crossover artists and spreads the word through TV and radio. Katherine Jenkins is the biggest classical crossover star in the UK. All of her albums have topped the UK Classical Chart (her fifth and seventh albums did not qualify as classical, but reached number three and six respectively in the UK’s main album chart). Upon the release of her third album, Jenkins claimed all top three spots in the Classical Chart along with her previous releases. 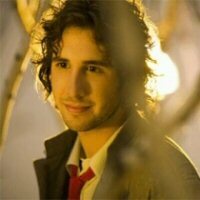 Josh Groban had a good head start in 2001 when David Foster took Groban under his wing. Groban became one of the biggest selling classical crossover artists in the world; in only eight years, Groban sold more than 24 million albums worldwide. He likes to play his own instruments, write songs, take artistic control over his albums and is unafraid of taking risks. His new album Illuminations is due for release mid-November.